Realtors to the rich have started getting a strange new kind of phone call. Wealthy homeowners with properties for sale are suddenly demanding that the brokers get them a deal in the next five months. The reason, they say, is the fiscal cliff. If the Bush tax cuts expire and capital-gains tax rates go up on Jan. 1, sellers in the high-end real-estate market could owe millions more in taxes on their sales. As a result, many wealthy sellers are racing to close before 2013. Others who were thinking of putting their homes on the market next year or later are listing them this summer. 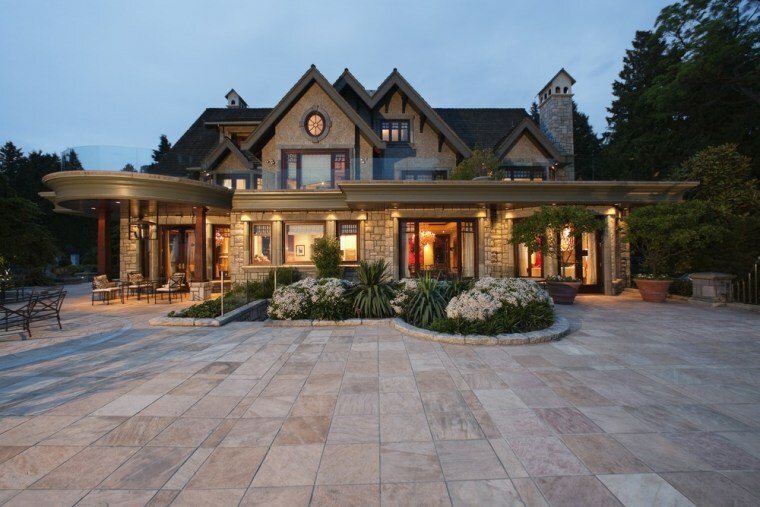 Call it “The Mansion Cliff.” Real-estate experts say that as more of the wealthy sell out of fear of a tax increase, they could drive up inventory and lower prices in the top of the real estate market, which has been one of the few bright spots in the economy. Any softening at the high end, or a spike in inventory, could ripple through the housing market and add new pressure to prices, although it could also increase sales volume. Games said that one of his clients recently sold a $13 million ocean-view property in La Jolla, Calif. for less than the original asking price – in large part to avoid the possible increase in taxes next year. The tax savings from the deal was more than $600,000 compared to the potentially higher bill next year. Jorge Uribe, one of the top luxury brokers in Miami, recently sold a mansion in the posh enclave of Indian Creek for $38 million. He said the owner accepted a price below his original goal for fear of the tax cliff. One New York broker said she got two new listings in the past week that were driven in part by tax fears. Granted, the tax fears of the mansion-set may prove to be unfounded. Capital-gains rates could remain unchanged if a deal gets done in Washington. And the selling deliberations of the wealthy are a minor problem compared to the broader headwinds in the economy. What's more, the rich (especially foreigners) continue to buy real estate as an investment as stocks and other financial investments weaken. Yet the million-plus real-estate market experienced a similar spasm in 2010, when many of the wealthy feared Congress would raise capital-gains rates. Inventory popped up and and prices slumped. Jonathan Miller, of Miller Samuel, the New York appraisal and consulting firm, said that in the fourth quarter of 2010, the supply of homes priced at $1 million or more increased in the New York area. In the affluent Hamptons, inventory increased 5 percent in the fourth quarter, a much greater increase than the same period a year earlier. Miller said a similar or even larger increase is likely this year. The math of the mansion cliff is compelling. If the Bush tax cuts are allowed to expire, the current capital-gains tax of 15 percent will rise to 20 percent. Alan Kufeld, a principal with accounting firm Rothstein Kass and an advisor to wealthy families, explains that families who sell a second home that they’ve owned for more than a year pay capital-gains taxes on the difference between the sale price and their original purchase price (minus certain fees, improvements and other deductions). A $38 million home purchased for $8 million with $2 million in improvements could show a gain of about $28 million. The current federal tax bill on that gain would be around $4 million. If taxes go up next year, the tax would be $5.5 million – a difference of $1.5 million. The new federal health-care tax of 3.8 percent also kicks in next year for couples who make $250,000 or more. But for the $28 million gain described above, the tax could add another $1 million, bringing the total tax difference to $2.5 million. On primary residences, where owners have lived for more than two out of five years, there is a $500,000 exlusion. But brokers say that when a home is priced at $10 million or $20 million, the exemption is less of a factor. In addition to the federal tax, there will also be state and local taxes applied to the gains. Some of those tax rates are also expected to go up in some states next year.